Access to clean and safe drinking water is something that some of us may take for granted, but this is not a luxury in many First Nation communities across Canada. According to a CBC News investigation between 2004 and 2014, two-thirds of all Canada’s Indigenous have been under at least one drinking water advisory at some point in time. Virginia Marshall was the first Aboriginal woman to gain a PhD in law from Macquarie University in Australia. She is also a researcher, lawyer and author. Marshall is the author of Overturning Aqua Nullius: Securing Aboriginal Water Rights, a book that goes all the way back to 1788 when the british colonized Australia and marginalized Aboriginal communities. “My consciousness was that we weren’t taking the importance of the water for what it means, we just look at it as a utility. For me, very much the point, Australia was said to be possessed by the british and also that our land was taken because of the indoctrination of terra nullius,” Marshall said. Terra nullius is noted by Marshall as a legal fiction that denies Aboriginal rights and interests to land in Australia. The book also explains the ongoing belief known as aqua nullius which denies Aboriginal people their economic and cultural right to water. “Overturning aqua nullius was really important because we’ve now got to overturn that fiction that Aboriginal people don’t have rights,” Marshall said. 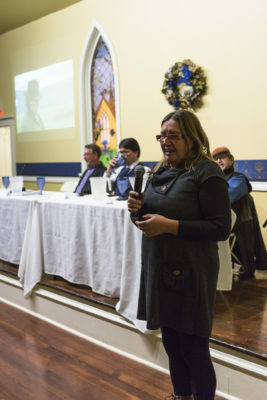 On Feb. 6 Marshall spoke on a panel alongside her husband, conservationist Paul Marshall, who is also from Australia, chief of the Skeetchestn Indian Band Ron Ignace and TRU’s own executive director of Aboriginal education Paul Michel. 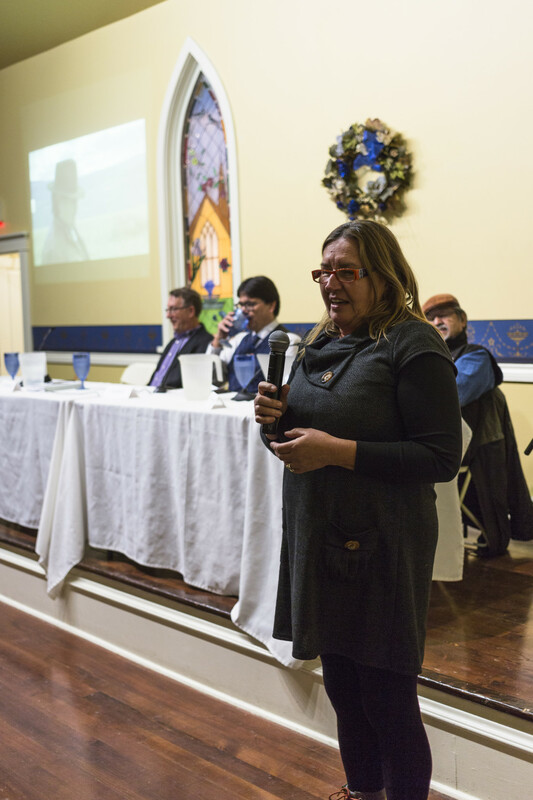 The panel pointed out many issues surrounding Indigenous water rights or lack thereof. Marshall says that securing water rights for Indigenous is important because in doing so it helps to address disadvantages and economic uncertainty that many people from this group may face. Although Marshall lives halfway around the world in Australia, she says that her knowledge could be applied to similar issues going on in Canada. “What we have in Australia is a lot of the same issues that you have here,” Marshall said. Marshall adds that protecting water and making clean and safe drinking water accessible to people is not just an Indigenous issue. “It’s not just Indigenous people that are suffering with water issues, its also non-Indigenous people,” Marshall said.